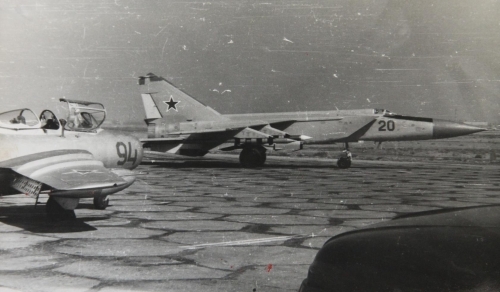 In the middle of the seventies, the 82nd Fighter Air Regiment replaced their Yak-28P ‘Fireball’ type to modern MiG-25P high-speed interceptor aircraft at Nasosnaya airport. 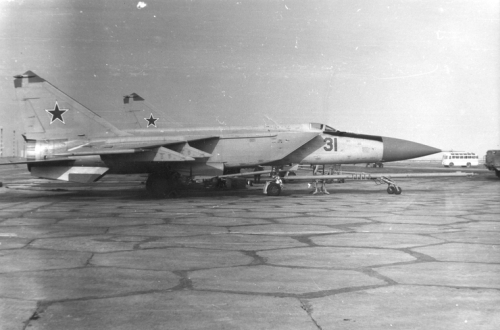 The 82nd regiment was the southernmost MiG-25P air defence unit in the Soviet Union. 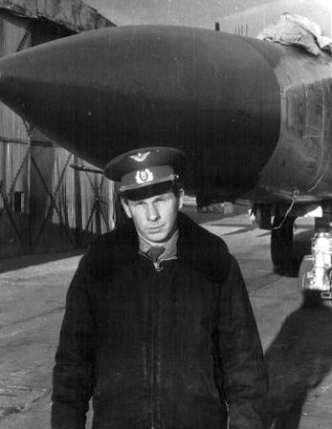 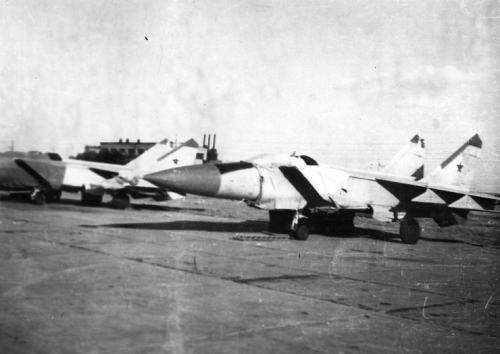 The pilots of the Yak-28s didn't continue their career in the regiment. 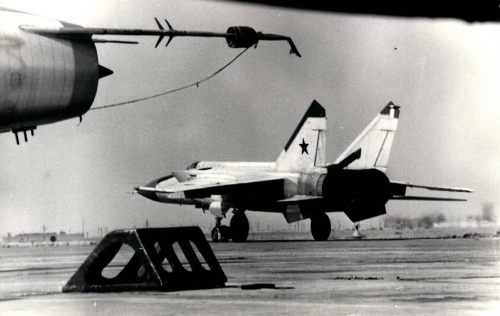 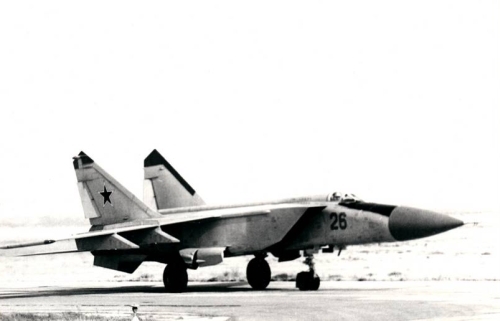 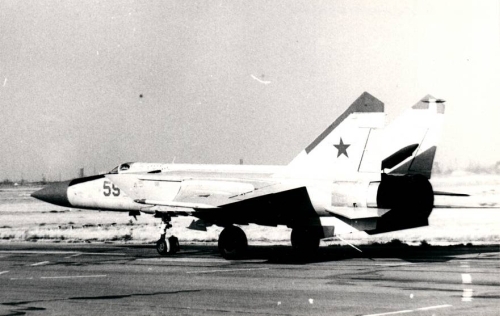 New pilots flew on the new MiG-25P ‘Foxbat-A’ type in the middle of the seventies. 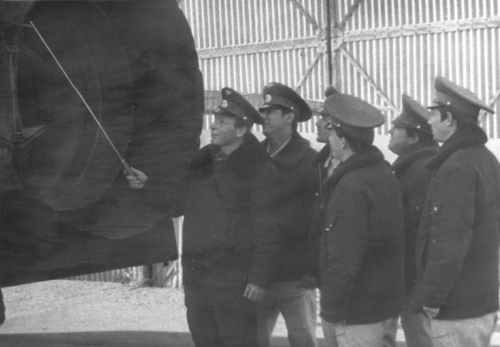 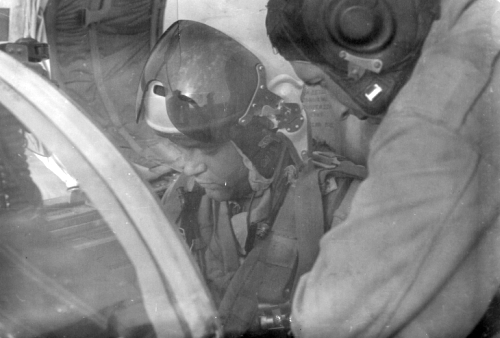 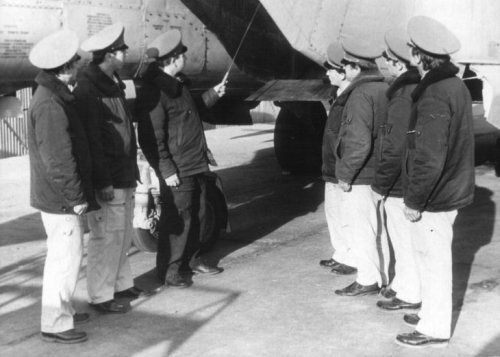 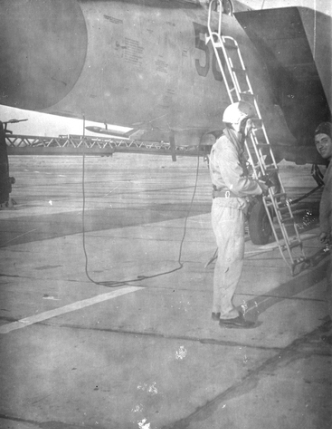 The pilots of the 82nd Fighter Air Regiment went to the 116th or 18th Air Defense Training Center often. 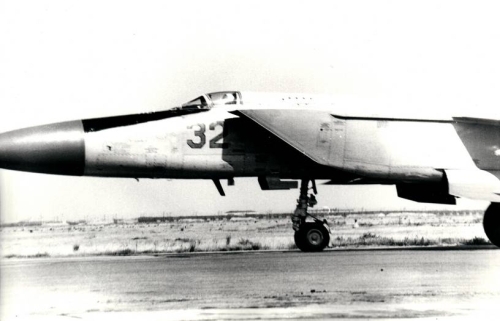 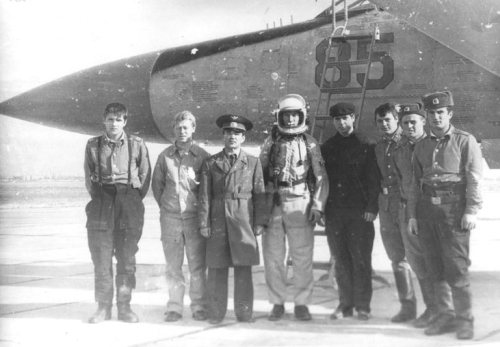 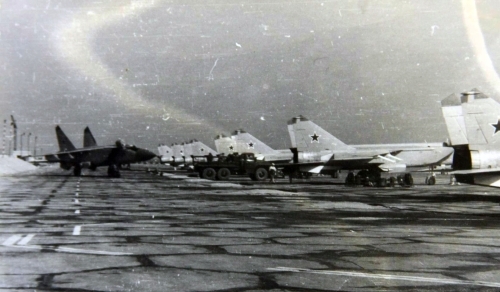 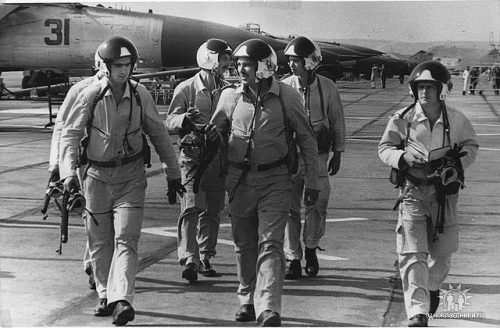 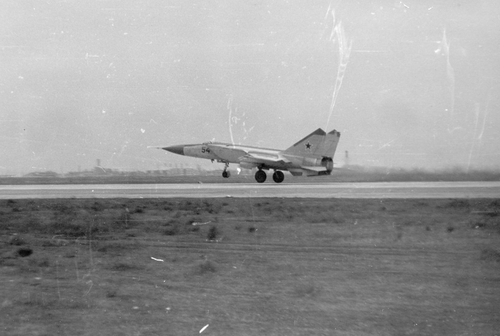 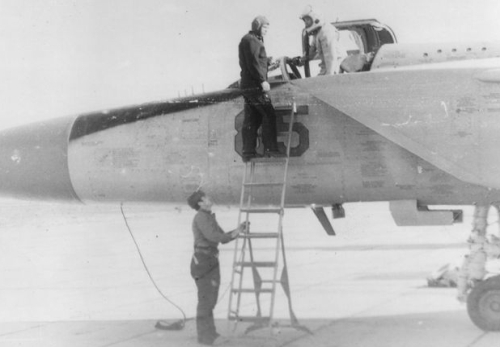 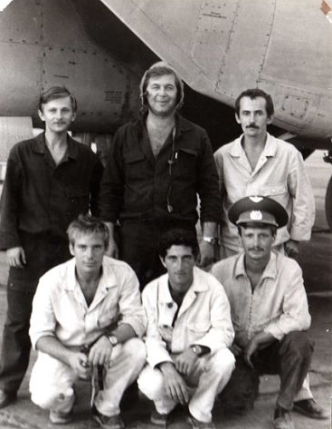 They flew with their MiG-25P ‘Foxbat-A’ aircraft to Privolzhskiy, Astrakhan military airfield. 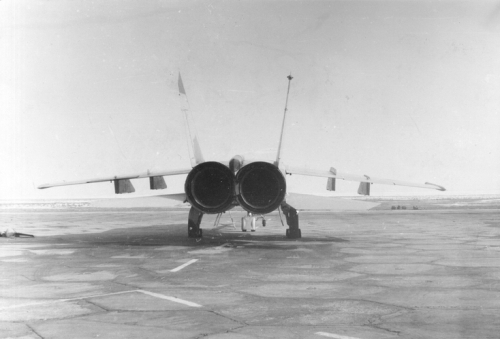 Here the pilots shot down air targets with R-40 'AA-6 Acrid' long-range air-to-air missile. 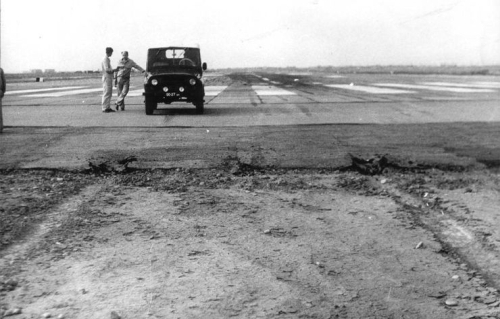 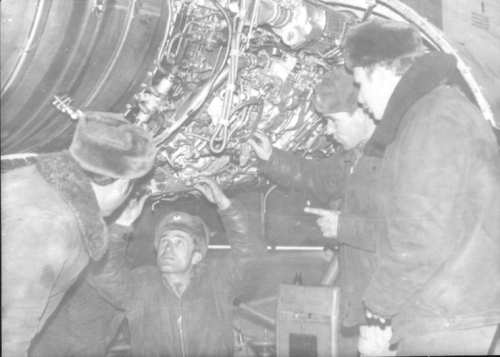 The 210th industrial aircraft repair factory worked at Nasosnaya airport during this time. 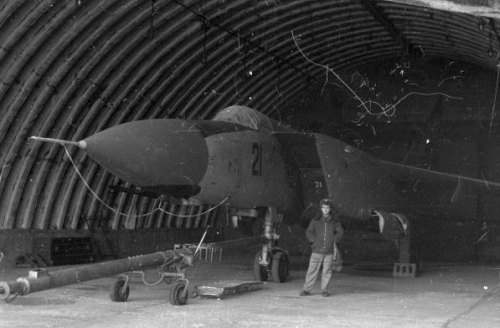 This factory repaired the Soviet Air Defence's Yak-28P and later the MiG-25P aircrafts. 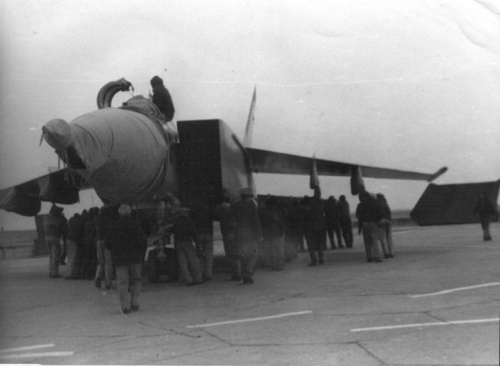 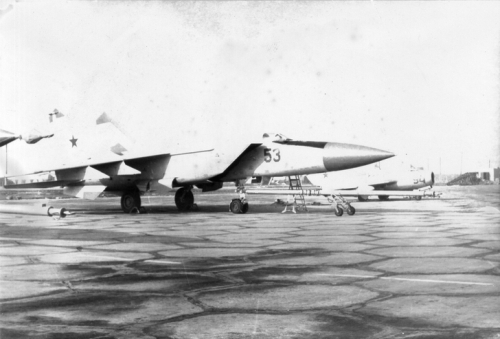 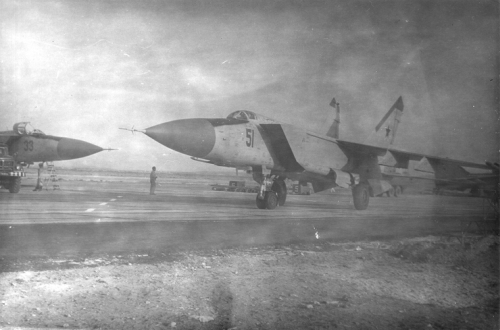 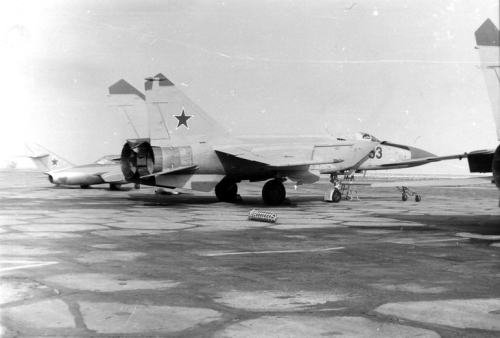 The 82nd Fighter Air Regiment sent their MiG-25P aircraft and Tumansky R-15B-300 turbojet engines to the 210th industrial aircraft repair factory. 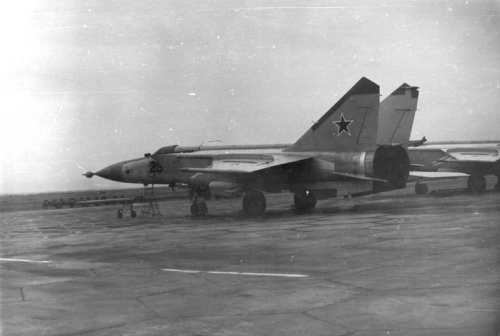 The factory extended the aircraft’s and the engine’s lifespan. 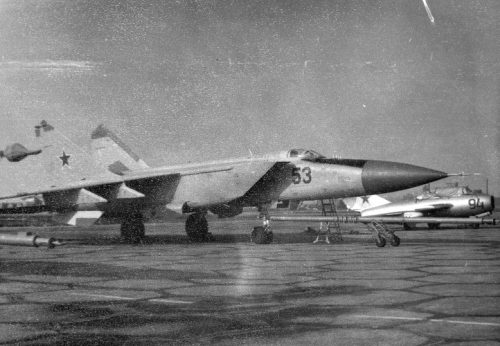 The 210th industrial aircraft repair factory upgraded the 82nd regiment's MiG-25Ps to MiG-25PDS in the early eighties. 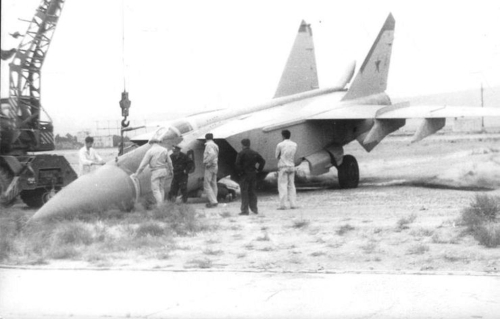 The improved MiG-25PDS ‘Foxbat-E’ single-seat all-weather interceptor fighter aircraft fitted with new an undernose IR search and track system and new N-005 Saphir-25 (RP-25M) Pulse-Doppler radar with look-down/shoot down capability. 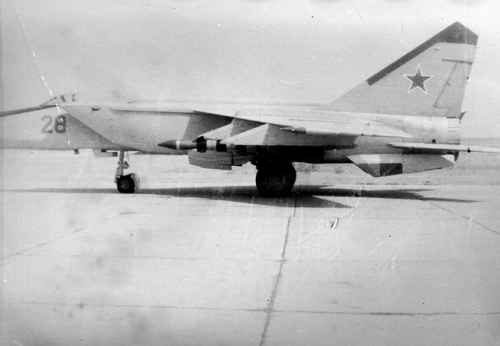 Could be fitted with four R-60 ‘AA-8 Aphid’ air-to-air missiles replacing outermost two R-40 ‘AA–6 Acrid’ long-range air-to-air missile. 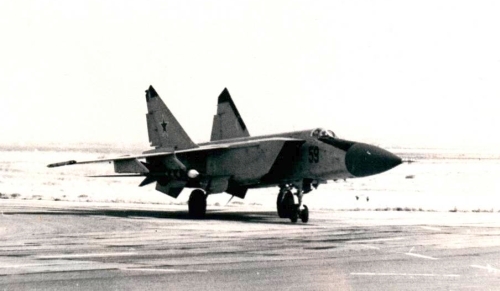 At the same time, the regiment got some factory new MiG-25PU ‘Foxbat-C’ trainer aircraft too. 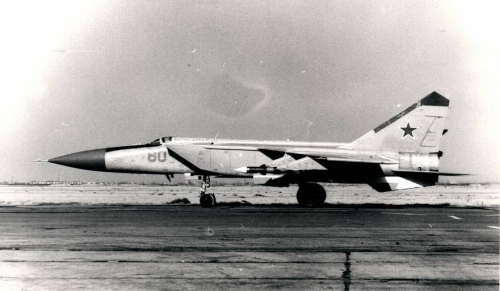 In the sixties and seventies, the 82nd regiment lost one/two Yak-28 ‘Fireball’ aircraft per year. 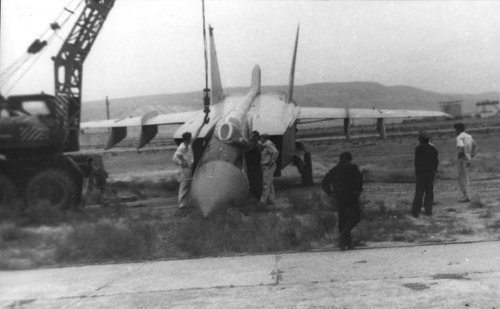 After arriving of the MiG-25 ‘Foxbat’ type, the loss rate has improved but it didn't stop. 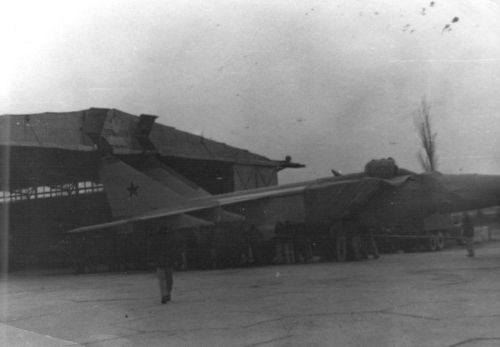 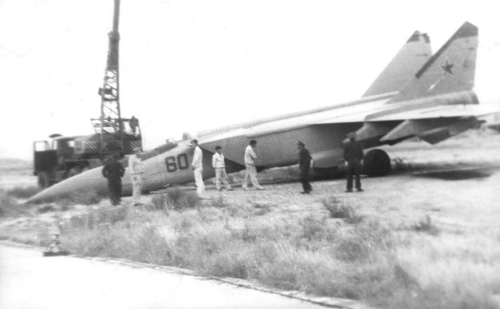 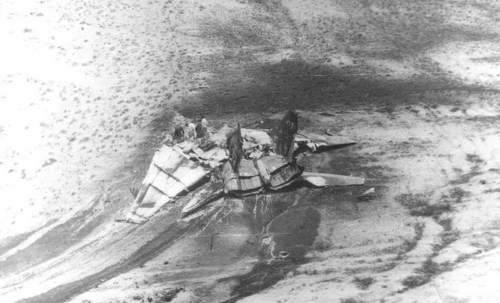 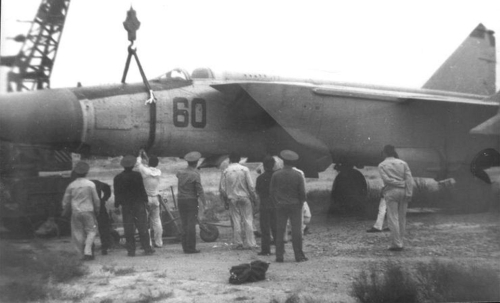 Rescue MiG-25PDS ‘Foxbat-E’ after overrun at the Nasosnaya airport.